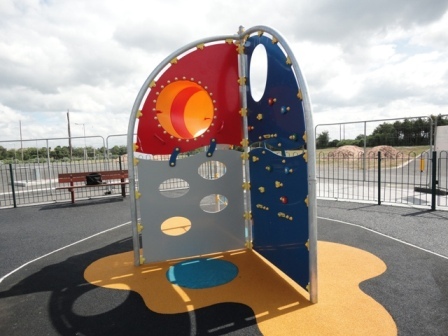 This high octane play unit will make children’s imagination over speed and take the 3 to 12 year olds to new climbing heights. With it’s various climbing options including rope ladder, rock climbing wall and more basic wall climbing the unit develops children’s upper and lower body coordination and muscles. The crawl tunnel adds a sense of adventure and mystery to the unit as children scramble from one side to the other.